Home » Rigid-flex » Do You Know When to Flex? Flex, flexible circuits, and rigid flex are common buzz words that continue to be relevant in today's growing electronics industry—but how much do you really know about the differences between them and when to use each type? 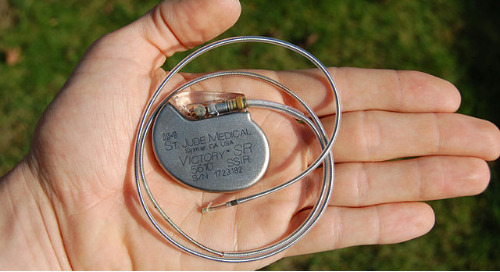 The use of flex circuits has been a key player in the modern technology era. In general, flexible circuits provide a solution to a variety of electronic design constraints. 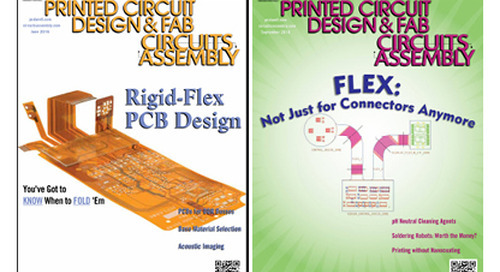 As the name implies, flex circuits are implemented to help PCB engineers solve issues within the PCB design industry, whether it is an issue of flexibility, tightly packed boards where electronic connects are required in 3 axes (static application), applications where light weight is a priority or situations when space, cost, and performance are a concern. 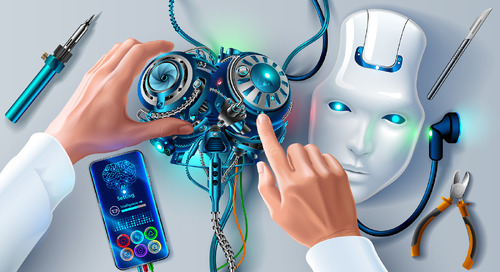 Flexible circuits provide designers with more freedom to create a design to fit a particular device rather than a device to fit the circuit board design. When talking about flex circuits it is important to note that there are several different types including single-sided, double-sided, multi-layered, and rigid-flex, all serving a slightly different purpose for the PCB design and implementation. 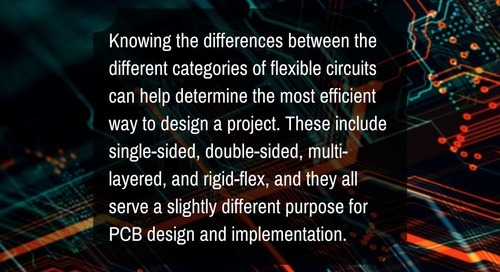 Knowing the differences between these categories of flexible circuits will help you determine the most efficient way to design you latest project. A single-layer flex circuit also referred to as a single-sided flex circuit, is currently the most commonly used type of flexible circuit—and the cheapest. Single-layer flex circuits consist of one conductive layer bonded between two insulating layers or uncovered on one side with cover layers applied to improve the lifespan of the product. This type of circuit has a very thin construction and is most effective in applications where constant motion is expected. Commonly required when circuit density and layout cannot be routed on a single layer, double-sided flex circuits are used. 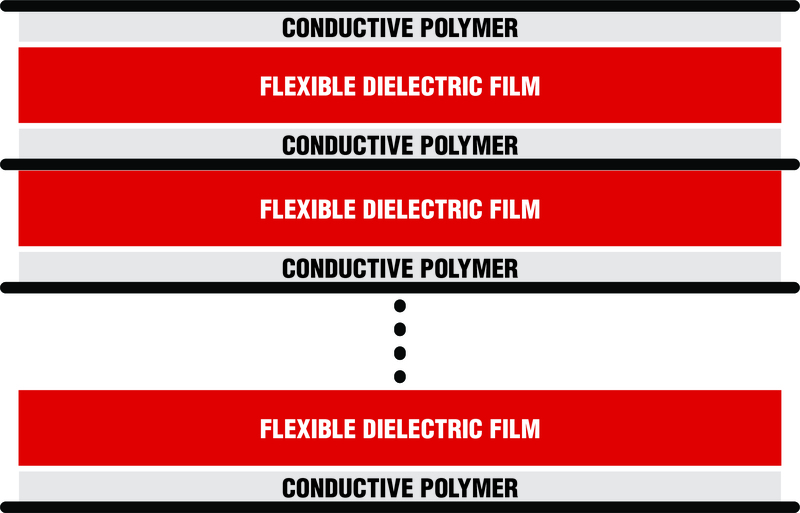 Comprised of two conductive layers, an insulating layer sandwiched in between, and layers connected by plated through-hole methods double-sided flex circuits tend to be the second most popular flexible circuit used today. A major benefit of double-sided flex over single-layer flex is the ability to have component assembly on both sides of the flex board. 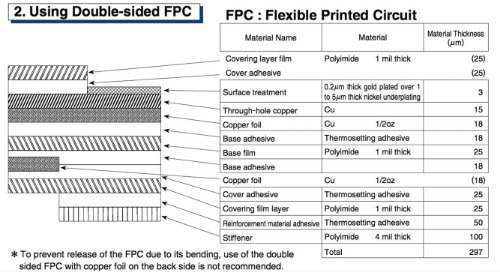 The major difference between double-sided flex and multi-layer flex is simply more layers. Multi-layer flex circuits consist of three or more flexible conductive layers with flexible insulating layers in-between each one. Much like the double-sided flex, multi-layer flex circuits are common in applications with high-density interconnect of circuits as well as ground and power plan applications. The most recent, and most talked about, type of flexible circuit is the rigid-flex. Rigid-flex circuits consist of a hybrid configuration with two or more conductive layers and either flexible or rigid insulation depending on the application. The ability to add conductors to the rigid layers differentiates rigid-flex from multi-layer circuits with stiffeners. 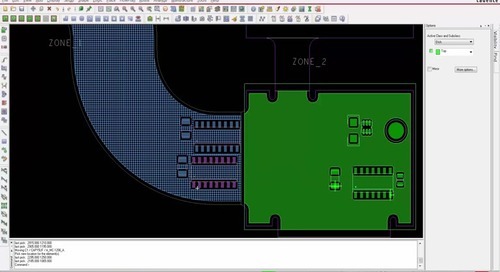 This type of hybrid circuit allows the designer to have the best of both worlds—implementing rigidity where extra support is needed, and flexibility in areas requiring more movement. 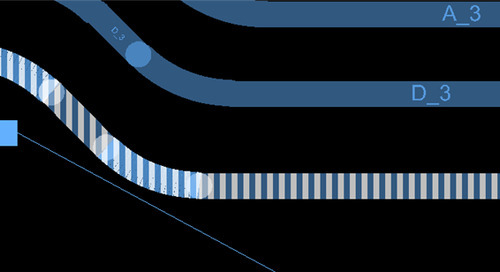 Although rigid-flex circuits are typically reserved for higher end circuits due to their higher degree of engineering complexity and cost, they do reduce steps in the assembly process and can, in essence, shorten overall time to market. 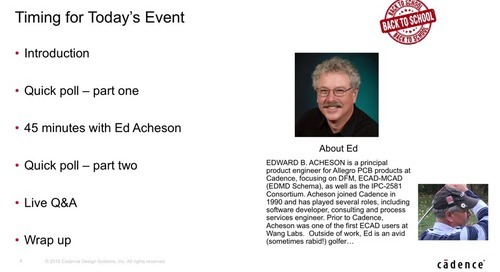 Does your current software measure up? 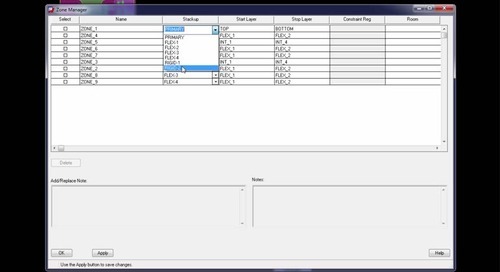 Another equally important thing to consider when determining which type of flex circuit to implement is software—will your software allow you to design the flex circuit and run all the necessary tests in a timely fashion? 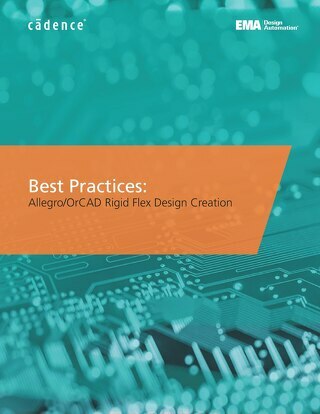 The most recent version of OrCAD 17.2-2016 PCB design software enables users to handle unique challenges associated with flex and rigid-flex designs. 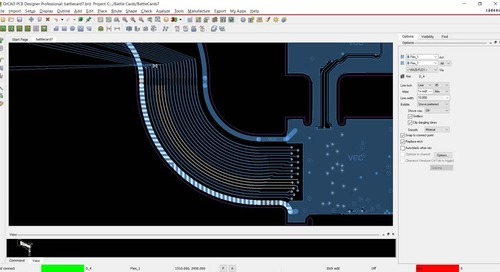 New stack-up and cross section capabilities, enhanced rigid flex routing, placement, and rigid flex DRCs are just a few examples of how OrCAD can help you design your next flex circuit with ease. 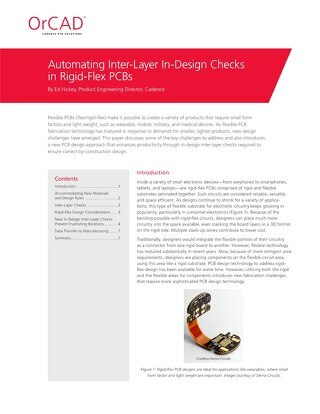 Looking for more resources on flex and rigid-flex in PCB design? 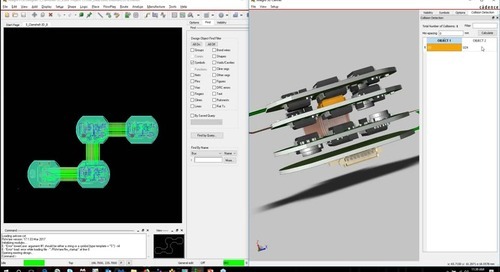 Click here to watch the video on OrCAD’s flex design technology or download our free White Paper: First Pass Flex Success.